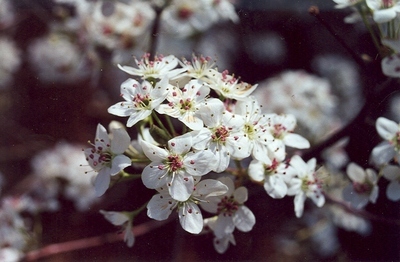 "Close up of Bradford pear flower" by L. Michael Hill Ph.D. When in flower, the Bradford pear is absolutely gorgeous. Unfortunately, its dense growth makes it susceptible to strong winds.